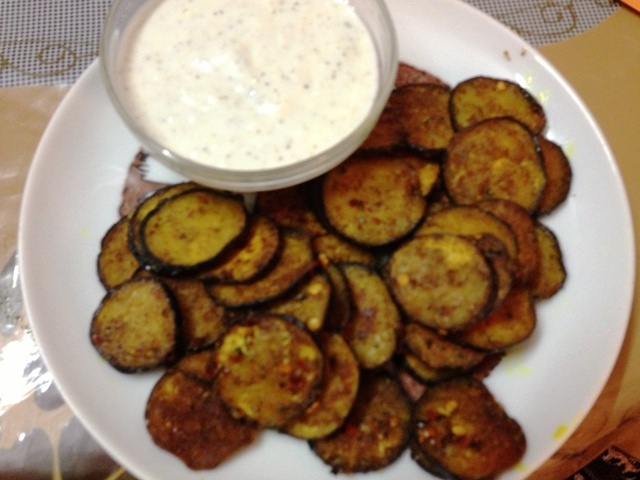 Pan-fried eggplant with a yogurt dip! 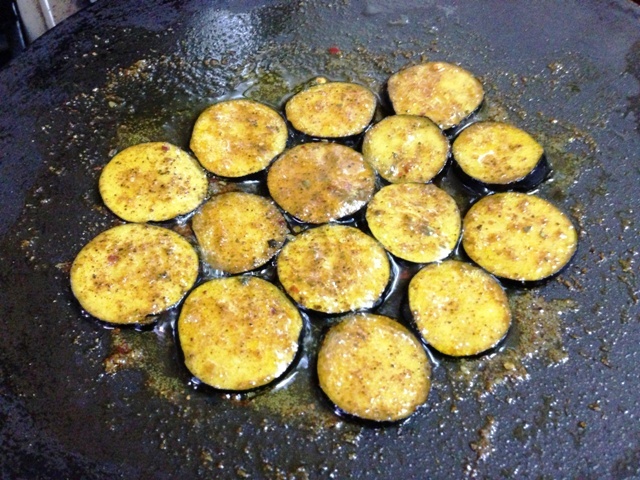 I love eggplant — IF it’s cooked the right way. It’s pretty neutral in flavor and that’s the best thing about it. If spiced and cooked well, it can taste yummy! 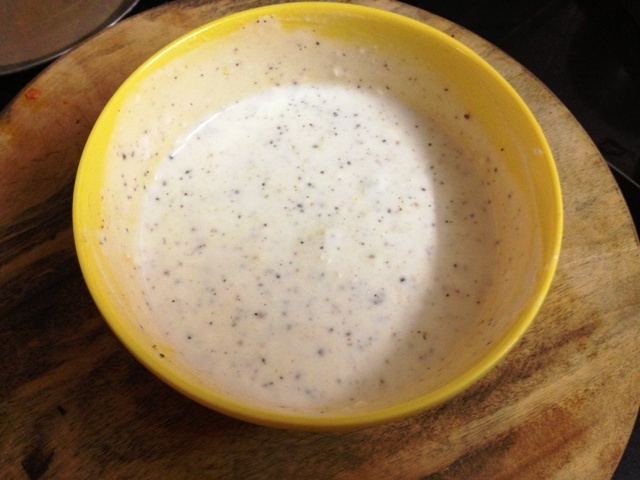 So, here’s what I did today — made pan-friend eggplant with a yogurt dip. 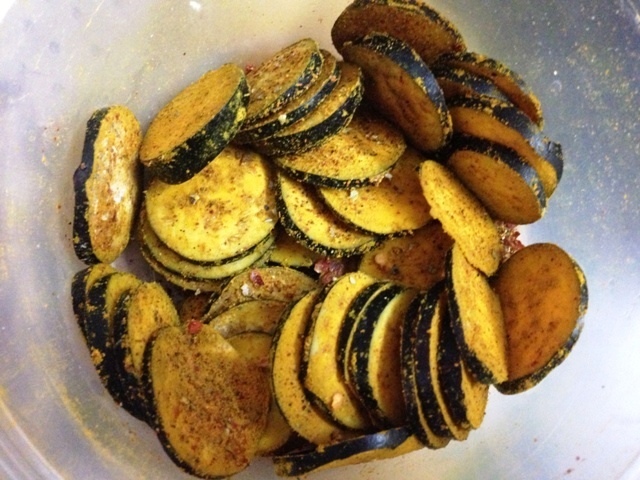 I took the longish eggplant and cut it into discs. I then coated the discs with chilli powder, turmeric, coriander powder and salt to taste. Then on a pan, I heated about a teaspoon of oil and let the discs shallow fry in it. When they were crisp and done on both sides, I removed them and let the oil drain on a tissue. August is going to be august! Thanks for sharing! Add roasted Sooji or Semolina in coating!